You rely on your Form W-2 when you file your taxes. The IRS needs the information to determine whether you had enough taxes withheld throughout the year. Ideally, your W-2 will arrive with your name, address and financial information correct and up to date. But as you probably know, mistakes happen, especially when employers are tasked with providing W-2s to an enormous staff. If your W-2 is incorrect, there are a few steps you can take to make it IRS-ready. If your W-2 is incorrect, first check with your employer. If they won’t correct the error, get in touch with the IRS. Believe it or not, errors on W-2s are fairly common. So common, in fact, that the IRS has a three-step process for getting mistakes corrected. The first step is to contact your employer and let them know about the error. If you have a human resources person, this is the person you’ll contact first, but in many small businesses, you’ll deal directly with your boss. Some companies now use a third-party service to print their W-2s, so the process of getting the correction could involve several phone calls and plenty of patience. 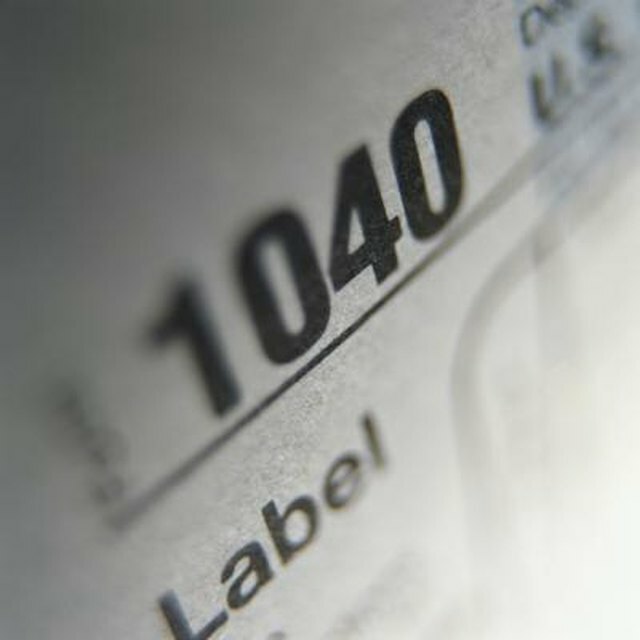 It may take at least a couple of weeks, so don’t make an appointment with your tax preparer just yet. If your attempts to get a corrected W-2 are unsuccessful and it’s after Feb. 14, your next step is to get in touch with the IRS. You can call the 800-829-1040 customer service number and describe the problem to a representative. They’ll get in touch with your employer and insist they correct the issue with your W-2 in a timely manner. Employers know that they can face penalties if they don’t get W-2s to employees by the deadline, so you’ll likely get results this way. Step three occurs if you’ve tried the first two steps and still don’t have a correct W-2. In that case, you’ll use Form 4852, which is available online, but the IRS will also send you a copy when you call to report an erroneous W-2. Form 4852 serves as a substitute for your W-2. On this form, you’ll input information on all the income you received from your employer, including tips and bonuses, plus the amount of any taxes your employer took out on you throughout the year. If your employer hasn’t given you the correct information, you can use your paystubs to add up what to input. How Can I Do My Taxes Without My W-2s? In many cases, taxpayers don’t even realize a W-2 contains an error. They simply go by what the employer says. However, since your Social Security and Medicare payouts rely on the money your employer reports, it’s important to ensure everything is accurate. In many cases, employees notice there is an error because the amount reported is so far off base it can’t possibly be right. A taxpayer may also realize a W-2 is incorrect during the process of filing. If an error shows a dramatically higher income or lower withholding than actually occurred, that employee could find himself in a situation in which the IRS erroneously thinks he owes a great deal of money. Before you ask for an amended W-2, though, you’ll want to make sure there is actually an error. This involves pulling out all your paystubs and getting the total amounts of your pay and withholdings, then matching it to the reported information. By doing all of these calculations before you contact your employer, you may find it expedites the process since your employer will know she was in error. In some cases, your W-2 form may simply have your name misspelled or an outdated address. While it’s important that you have that information updated, the IRS goes by your Social Security number when processing your return. Just make sure you enter the correct information on your tax paperwork and work with your employer to get the information corrected for next year’s taxes. If your employer can issue a corrected W-2, though, it will make things easier for everyone. In addition to financial information, one area of your W-2 that is essential is your Social Security number. Even if you scratch out the incorrect number on your W-2 and write the correct one in, the information your employer submitted to the IRS may not match. The same goes for the financial numbers on your W-2. It’s important to ensure that everything matches across the board to avoid your paid taxes being registered to the wrong Social Security number. Sometimes the issue isn’t just an incorrect W-2 an employer won't amend. In many cases, workers never receive their W-2. Even if you stopped working for an employer months ago, you’re still owed a W-2 by the deadline. If the employer won’t mail it, ask that it be scanned and emailed to you. If possible, offer to stop by and pick it up, although this may be a last resort, especially if there are bad feelings about your departure. If you still haven’t received a W-2 by mid-February, contact the IRS and describe the problem. As with an incorrect W-2, the IRS will send your employer a letter demanding they provide you with a W-2 within 10 days. The letter will remind your employer of the penalties that come with failing to supply a W-2 to an employee. Ideally, this will get results, but it isn’t guaranteed. In some cases, missing W-2s are simply forms that are hidden from employee view. You may have been given instructions on accessing your W-2 on your first day of employment, but that was months ago. Even if you still have the instructions in your email somewhere, tracking it down can be easier said than done. If the instructions were provided in paper format, you’ll likely never find it. But what you and your supervisor may not realize is employers are required to notify all workers via email, mail or in person that their W-2 is available for view. They’re also obligated to give instructions on accessing and printing the information necessary to prepare your taxes. You also must agree to receive your W-2 in electronic rather than paper form, so if you did not agree to this at some point, your employer should have handed you a paper form rather than log-in instructions. In some instances, you can get the information you need from the IRS in the form of a wage transcript, available either online or by mail. To access this information, though, you’ll need to provide identifying information about yourself, including your Social Security number and a personal account number from one of your creditors, like a mortgage, credit card or car loan. This information is used to protect taxpayers from fraudsters trying to access taxpayer records. There are various types of transcripts, but the one that will likely be most relevant to your needs is a wage and income transcript, which details information the IRS has received on you, including Forms W-2, 1099s, 1098s and Form 5498. Unfortunately, information on this year’s taxes may not be available until after tax season, but it’s worth attempting to get such a transcript if you’re trying to complete Form 4852 and feeling frustrated. In all too many cases, you’ll receive a corrected W-2 after filing your taxes, especially if you’ve been persistently requesting your form and finally gave up and filed without it. If you receive that form and it matches what you submitted, simply file the form with your other tax records for the year and forget about it. If you’re ever audited, you’ll have the form to show it matched what you reported that year. If the W-2 you receive after filing doesn’t match the numbers you provided the IRS, you’ll need to amend your return using Form 1040X. You’ll simply list what you originally claimed in Column A and enter the correct amount in Column C, with the net change in Column B. This keeps you from having to file a new tax return. If you receive your W-2 before the filing deadline and get your form in on time, you’ll be able to avoid any penalties on top of the taxes you owe. If you didn’t owe the IRS money, you won’t have to worry about this part of it. But you’ll only have three years from the date you filed the original tax return to file an amendment. If you paid taxes, you’ll have only two years to file an amended return. If you’re an independent contractor, you’ll receive a Form 1099 instead of a W-2. You’re responsible for paying taxes on every dollar you make, whether you receive a form or not. However, employers are only required to send 1099s to those they paid $600 or more for business-related services. So, if you made $200 from one client and $400 from another, you’ll be responsible for tracking it all and reporting it. But even clients who pay $600 or more will sometimes neglect to send out a form. Since you’re responsible for reporting all income on your end, receiving a form makes no difference. You should also make sure that your records match what your employer states that you were paid. As with W-2s, if your 1099 is incorrect, you need to reach out to the issuer and ask for it to be amended. If you file and your information doesn’t match the client’s, you may be flagged for an audit. If your employer went belly-up at some point during or after the tax year, you’ll find yourself in a sticky situation. Going out of business, even if it’s as a result of bankruptcy or shady dealings, does not release an employer from its obligations to send a W-2. The business or its owner could still face fines for failing to send forms to each person on the payroll during a specific tax year. However, that doesn’t help you if you’re trying to obtain your form and having no luck getting a response. As with erroneous or missing W-2s, though, you’ll simply wait until mid-February and contact the IRS if you have no luck getting your previous employer to issue a W-2. The IRS will send a letter to the address provided and hopefully get action. If you still have received no form by mid-March, use Form 4852 and add up your pay and taxes from your paystub. You’ll still be able to file by the tax deadline and do your part, even if your former employer chooses to be noncompliant. You may have former co-workers who are in the same boat, so reach out and let them know what they need to do to report their earnings with their now-defunct previous employer. The Motley Fool: What Happens if I Get an Incorrect 1099?